﻿ The Ridges - Ohio. Find It Here. The Ridges, formerly called the Athens Lunatic Asylum, was a mental hospital operated in Athens, Ohio from 1874 until 1993. During its operation, the hospital provided services to a variety of patients including Civil War veterans, children, and violent criminals suffering from various mental disabilities. 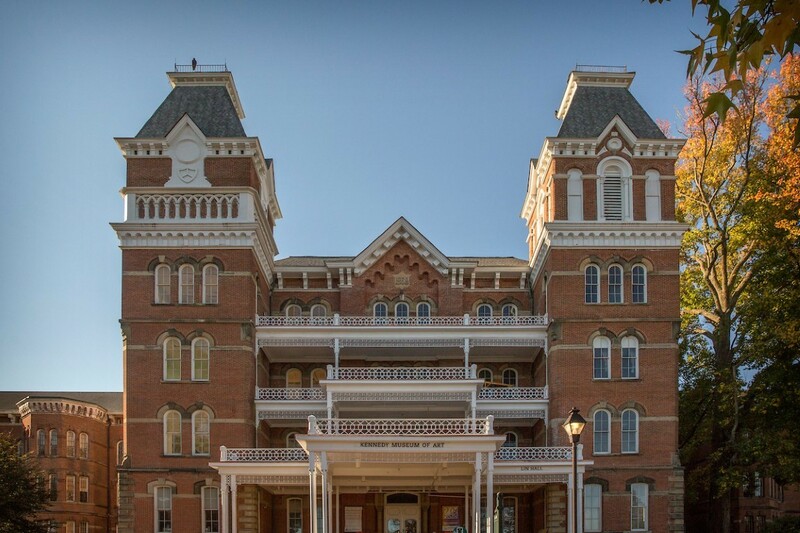 Today, the Ridges are a part of Ohio University and house the Kennedy Museum of Art, an auditorium and many offices, classrooms, and storage facilities.The former hospital is perhaps best known as a site of the infamous lobotomy procedure, as well as various supposed paranormal sightings. After the hospital's original structure closed, the state of Ohio acquired the property and renamed the complex and its surrounding grounds The Ridges. According to The Guide of Repository Holdings, the term "The Ridges" was derived from a naming contest in 1984 to re-describe the area and its purpose.